Mount Fuji is the highest mountain in Japan. Many people who visit Tokyo, like to take their time to go to mount Fuji. 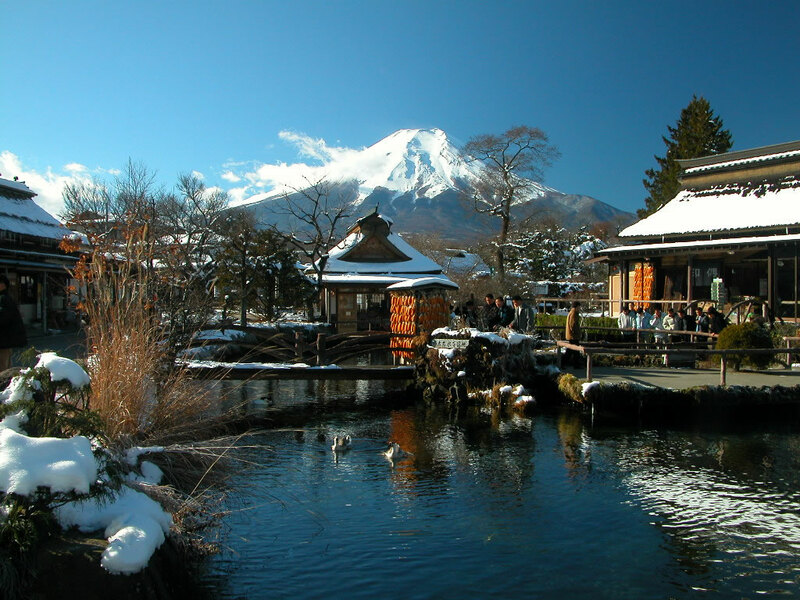 There are many tour packages that provide a tour to mount Fuji too. When you are going to mount Fuji, normally you will also visit some scenic areas and spend some time around there. So what are those places? Lake Ashi (Ashi no ko) is sometimes also called Hakone lake. This lake is famous for the great view of mount Fuji as well as a place for historical sites. The pictures with mount Fuji in the background is the symbol of this place. People like to spend time by taking sightseeing cruise around the lake that takes around 30 minutes. The amazing view that can be seen around the lake is outstanding all-year-round. Like this summer, there are hydrangeas blooming near Moto Hakone port, and the view of melted snow of the mount Fuji, there are leaves changing colour around the lake in autumn, and cherry blossoms that burst on the mountain in spring. Owakudani is a volcanic valley with an active sulphur flue. On a sunny day, The view of mount Fuji can be seen from here. Kuro Tamago or black eggs are a popular local speciality of this area. The eggs are boiled in the hot springs till they become black. It is believed that people who eat it will live longer. This place is a touristic spot that consists of eight ponds in Oshino, a village in Fuji Five Lake Region. The eight ponds are filled with melted snow from mount Fuji that is going through soil for 80 years and comes out as a very clear spring water. The ponds are deep, have freshwater plants and big fish that makes them very interesting. The atmosphere gives a pleasant feeling to all who visit.